It’s exciting times for Churchill Homes at the moment, as their eagerly awaited development of five breathtaking properties launched last weekend. With the recent completion of Plot 1 at their stunning development on Culter House Road in the leafy West End suburb of Milltimber, Churchill Homes had two hugely successful events for invited local professionals and the general public. 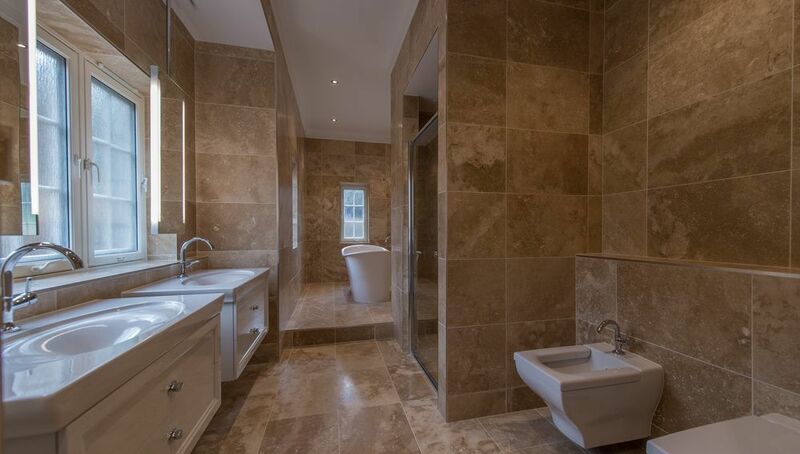 There had been huge interest in the properties, especially since construction started on site last year, and the ‘Open House’ event provided an opportunity for the public and potential clients to see for themselves the unbeatable quality and level of specification provided by the firm. 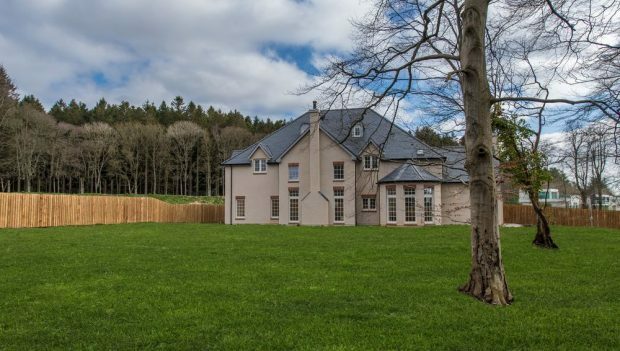 This latest adaptation of the modern mansion proves that it is without doubt one of the most exclusive property developments in the North East of Scotland, and firmly highlights why Churchill Homes have built up such an impressive reputation as one of Scotland’s most prominent luxury homebuilders. Each property sits within half an acre of established grounds and will boast features such as a beautiful curved walnut staircase in the grand hallway, leading to a bridge gallery overlooking the double height entrance and drawing room. The handmade kitchens have been commissioned to be made by the outstanding Stoneham Kitchens, who carry the Royal seal of approval and the specification of appliances and finish are second to none, all set alongside a wonderfully bright curved breakfast room with full height glazing all round and an open plan family sitting room. 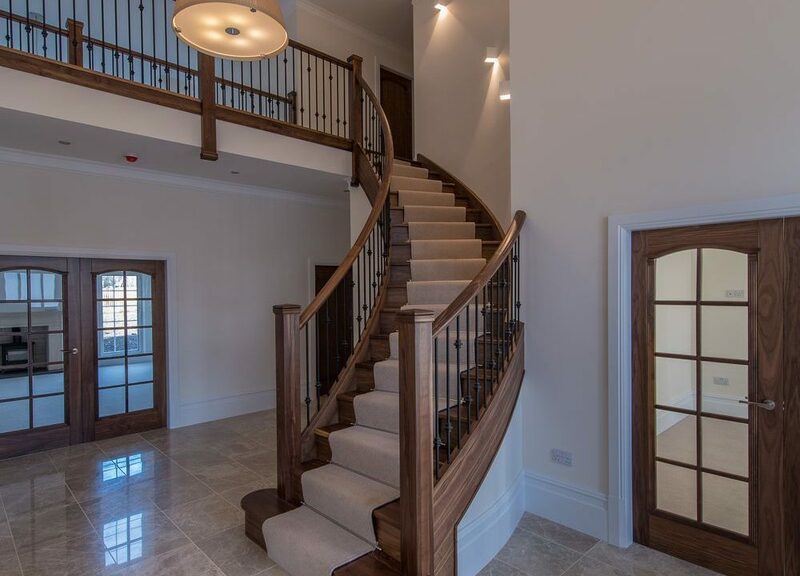 A separate rear staircase leads to the living accommodation on the first floor from the family area and each property has two fireplaces hand carved from British stone supplied by J. Rotherham, both feature wood burning stoves. Villeroy & Boch sanitary-ware will be fitted to all bathrooms and en-suites and the luxurious main master en-suite boasts a double-ended Victoria and Albert free standing bath, set in its own raised area for optimum relaxation. Externally, each half acre plot will be fully landscaped ready for the homeowners to merely look after and add to, at their own speed.